After meeting the movers at the rental house in the morning, I drove to the new house when they were finished and sat with Ellie on the back porch to keep her from “helping” them. 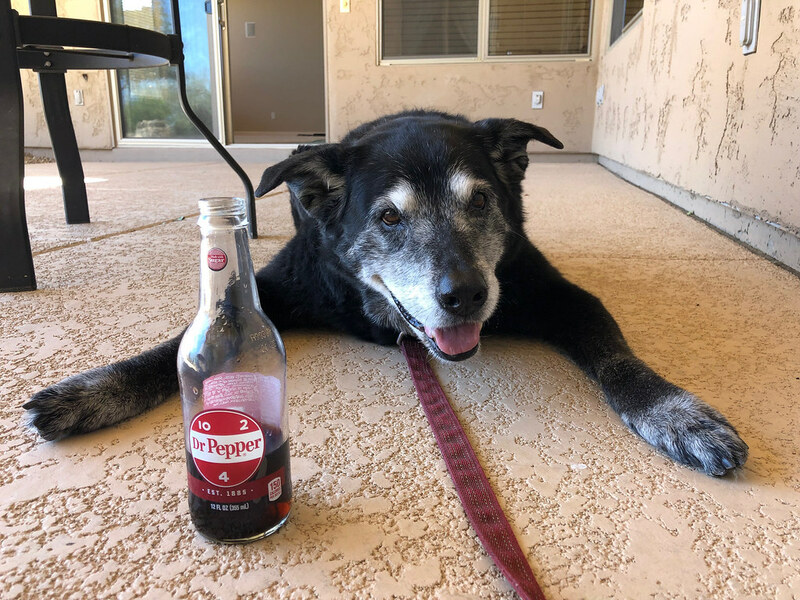 My wife had picked up this old school Dr. Pepper, nectar of the gods. It was a beautiful morning, best St. Patrick’s Day ever. I’m worn out from not getting lots of sleep the past couple of days, between looking after Ellie and Boo mewing during the night, but I’m glad we’re home. This entry was posted in General, Pets and tagged black lab, dog, Ellie, resting. Bookmark the permalink.